One of my favorite things to do when visiting a new country is to rent a car, motorbike or scooter. Moving overland with a motorized vehicle allows you to reach the places that only the locals can get to. You can beat the tourist traps or get there early before the other tourists do! And if you’d rather not drive yourself due to the err… ‘different’ driving styles around the world – then you can even grab a cheap bus ticket and sip some beers whilst you get an unconventional tour of the real side of the city. However, on my recent trip to Guyana, we took things a step further. Quite a few steps further, in fact. We signed up to an unforgettable adventure in the form of a multi-day, 4×4 and ATV off-road extravaganza. Departing from Lethem (a rural town, just a short flight from Georgetown) and heading into South Rupununi. Within the group, our ability level for this type of thing would be best described as ‘excitable noobs’. We knew how to drive (not that it mattered), we like pushing ourselves and we were down for some rad times. Stoke levels were high. We didn’t really know what we were getting into. Which made us even more excited. The evening before departure, we met at Ian’s house to go over our kit and the vehicles. Ian’s right-hand man on the trip was a bloke named Lionel. Lionel is of Amerindian descent, which is the name for the indigenous people of the Americas. His warm, welcoming demeanor and friendly smile, paired with his expertise in jungle survival made him the ultimate guide. 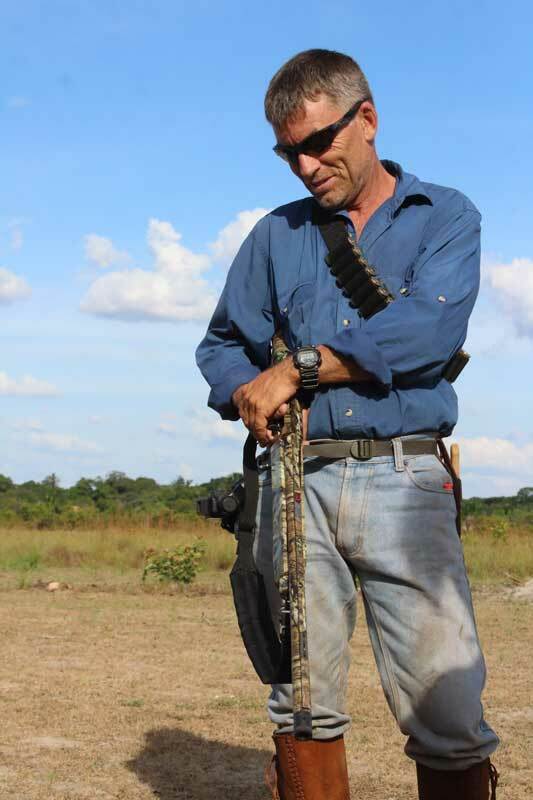 Once he starts to recount stories of jaguars, caiman and the rest, you soon get a sense that you are in very safe hands. We all met at our fearless leaders’ house to go over the gear. We were given a large camo rucksack, a number of dry bags, a hammock, tarp, water flask, camelback, iodine, rations, camping chair, a MACHETE, and a spoon. 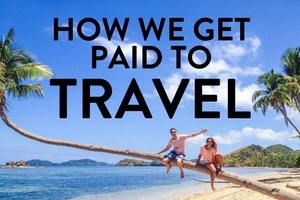 The idea with this kind of trip is less is more. Everything coming must have a purpose and if it doesn’t-it gets left behind. We met early the following day to load up the vehicles. 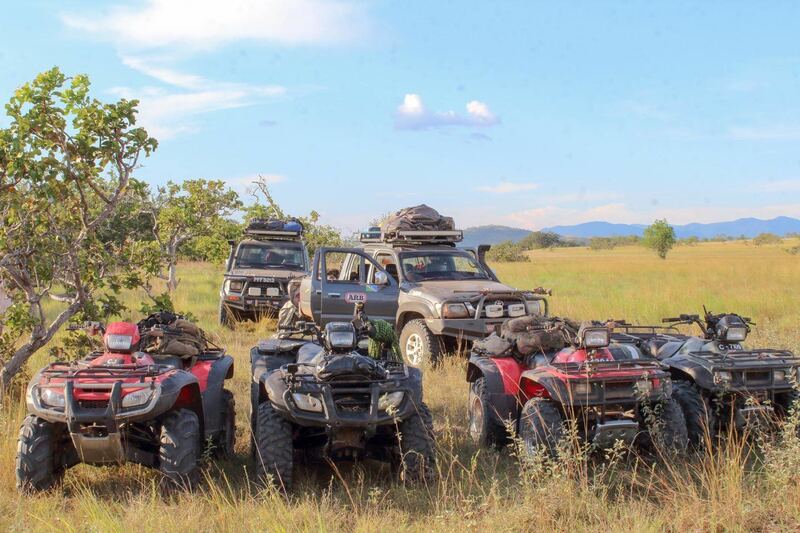 We had 4 ATVs, 2 4×4 off-road trucks, spare fuel, water and all of our gear and camera equipment. We were also joined by Terry and Frankie, two local mechanics that somehow managed to fix everything that we broke on the journey! They kept those vehicles rolling through every bump, donut and full speed river crossing, pulling nails out of tires and cooling engines every 500m if necessary. 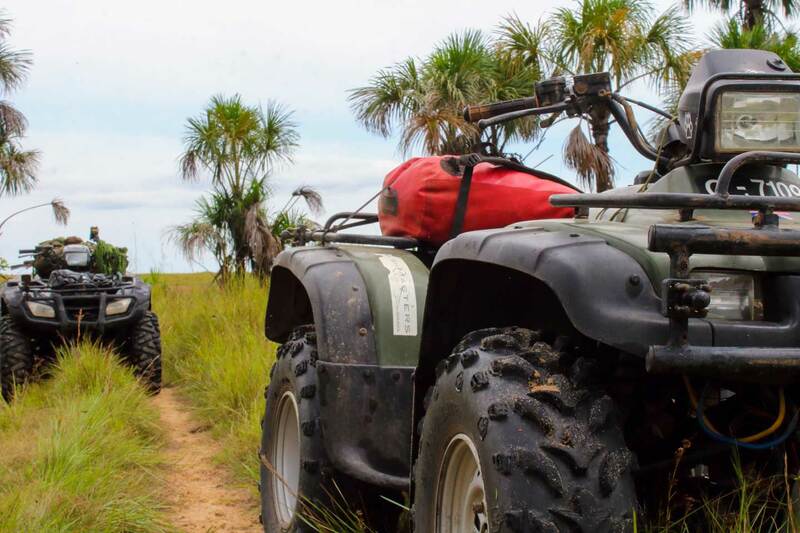 If you love adventure travel, going on an ATV tour is definitely one of the best things to do in Guyana and comes highly recommended. After we got out gear ready, we headed off into the unknown. A quest for discovery; new places, new sights, and new adventure. The roads we were predominantly traveling on could best be described as cattle trails. Small gaps in the brush made from animals using them to navigate. That’s if there even was a path. You see, these trips and the tourism industry as a whole is new to Guyana. The local people had no need or desire to venture into these areas. Roads were made to link villages and ranches to each other, but there aren’t so many scenic drives. People don’t just go into the bush for fun. Except for us. 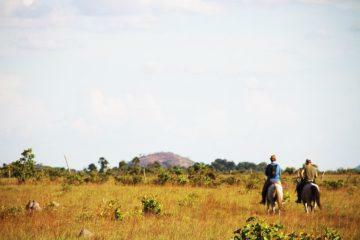 But for now, the savannah of Guyana is an untouched adventure just waiting to be had. 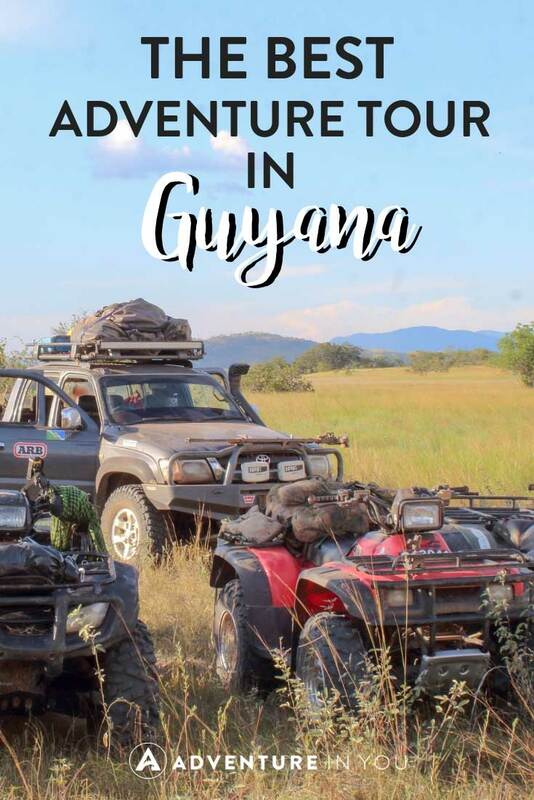 Explore the wilderness though is definitely part of Guyana Travel and is a must not miss for those who are craving adventure. Ian was leading us from the front, using a GPS device to track our route. A vague idea of direction was understood, but a lot of the paths we took were new to him and the team. 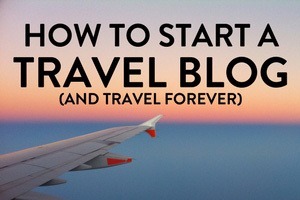 Every trip is different due to a number of factors such as the season, the weather, the people on the trip and the overall outcomes and objectives. This kept it exciting for all participants. After an adrenaline-fuelled day, we pulled up to our first campsite. Looking and smelling like a posse of Mad Max gas-huffing bad guys – we were all craving a jump in the river. But first, we had to set up camp. 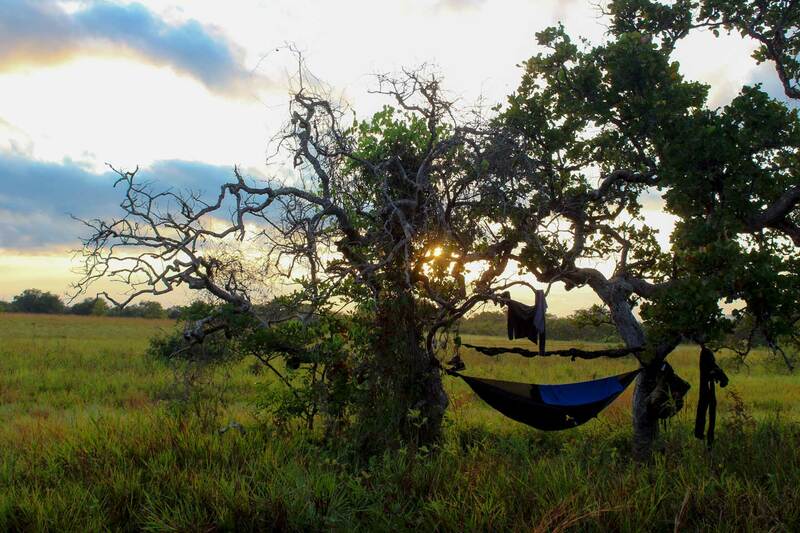 I consider myself very fortunate that I spend a lot of my time hammocking out. 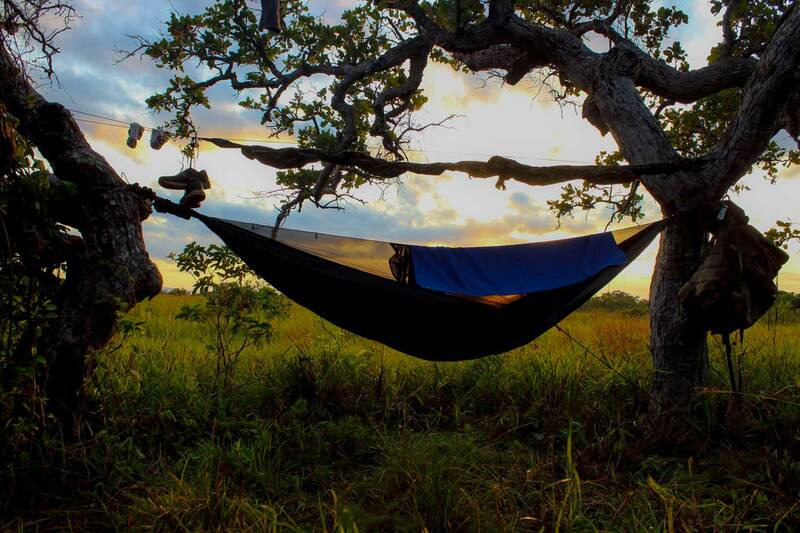 However, every new environment has new considerations in terms of set up and effect on the environment, so a briefing on savannah hammocking was much appreciated. This also allowed for those whose first time it was to get it figured out. As well as making sure your two trees are the correct distance from one another – remember to look up. You don’t want to park under a wasp’s nest when you start chopping and shaking the trees! Never approach someone aimlessly swinging a machete. Tie power chord the length of your hammock. This is to deflect falling branches. Give the ground around your camping area a good sweep with the machete. Remove any piles of leaves and foliage. This is where the evil monsters of the night will hang out. Keep all your belongings stored off the ground. Attach bags to trees using carabineers. Once our home was set up for the night, it was finally bath time! Which meant running into the river fully clothed with a bar of soap, in order to wash both ourselves and our clothes. As mentioned earlier, things are kept simple. We had our day clothes and our night clothes. Our day clothes were full-length shirt and trousers to protect from the dirt, sun, sweat and everything else. Each evening we’d clean off in the river, the clothes would dry overnight and were good to go the following day. We were told that only one other group had camped here before. Only 11 people. And now us. Things really were brand new here. The evenings are spent sitting around a campfire, sharing stories and watching for shooting stars. What better way to drift off than to count shooting stars? We were up early to watch the sunrise. That, and having also been told that it’s the best time to see anteaters. We had another day as fun as the last. Except for this time, we were a bit more ballsy with our driving. Too confident, some might say. This lead to two hilarious incidents of riders coming off their ATVs. Well, maybe not hilarious at the time for everyone involved, but we soon laughed about it. This really was the place for pushing your limits. Do you want to drive off the track? Go for it. You want to go back and hit that river at full speed in the 4×4? 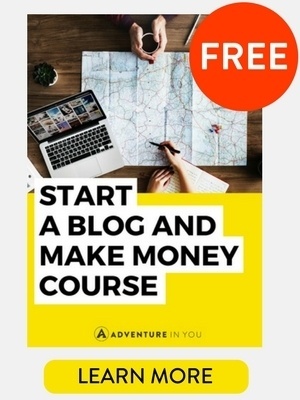 No problem, just get the cameras set up first. 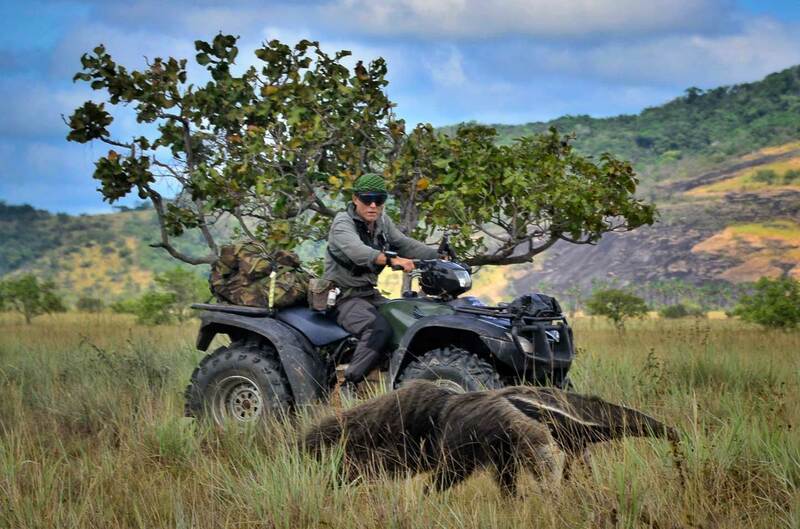 Guyana is truly an adventurer’s paradise! Seeing anteaters that close has to be up there as one of my all-time favorite animal encounters. To be riding an ATV through the Savannah and see one of these strangely beautiful creatures in the wild is like no other. It can’t be described so I won’t even try. Radness continued to exude throughout the day and into the evening, as we arrived at our campsite, Crystal Springs. We knew the deal by now so we got busy setting up camp as Terry and Frankie went fishing. Without a rod, line or bait. When returning with a stick full of impaled fish, we, of course, asked how they managed it. Never a pair to waste words, Terry simply gestured with his machete as he bluntly let out, ‘Chop’. Our third and final day of the 4×4 and ATV adventure was a short drive to Saddle Mountain Ranch. More fun, more dirt, dust, and goodness. More sweat, more heat and more of everything that the soul requires. This trip is not your usual vacation. You earn your sleep. You work for it in the daytime. You get out of it what you put in. It’s not for everyone. But for those that it is for, it is everything you are looking for. 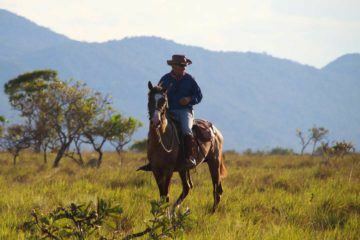 If you’re looking to take part in the rugged and totally surreal adventure in Guyana, this adventure tour is for you. Between sleeping under the night sky, crossing unchartered terrain, and ultimately just having the best adventure, if you’re looking for an adrenaline-fueled exploration, this place is for you. Note: This article was written in partnership with Guyana Undiscovered, however, as usual, all words and opinions are ours. Chris is the founder of Global-Shenanigans.com and a swashbuckling nomad, who is currently gallivanting his way around the globe in search of good-times. 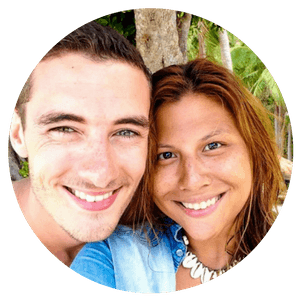 A trained outdoor activities instructor and guide, he has been able to share his passion for adventure sports with other like-minded folk. An outdoor addict that takes fun seriously.